When shopping for makeup products, many of us with sensitive skin will go directly to hypoallergenic products thinking these products are specially designed for our type of skin, safer for us and causing lesser allergic reactions. But the truth is, there is no application, rules, and no ingredients restrictions for determining if a product is truly hypoallergenic, and the FDA (Food and Drug Administration) does not regulate the term, so, sometimes, cosmetic brands label the products with this term only for marketing purpose. 0.1 So, how do we choose safe, hypoallergenic makeup for sensitive skin? So, how do we choose safe, hypoallergenic makeup for sensitive skin? First, we should always follow the rule: the simple, the better. We should always check the label, read the label carefully, and choose the product with fewer ingredients, and, if possible, with few or no artificial ingredients that can cause allergenic reactions. Look for products labeled as designed for sensitive skin, dermatologist approved or allergy tested. The products should not contain fragrances, parabens, alcohol, dyes, mercury, talc, silicones, menthol, or oils because most of them can be irritants for the sensitive skin. More about allergic ingredients here. And last, before applying it on our face, we should test the product on our inside of the elbow to make sure we have no reaction and wait for 24-48 hours for redness, swelling or itching, signs of irritation and allergy. You can find a full patch test tutorial here. So, let’s take a look at the best hypoallergenic makeup brands and products. Packaging comes in a sleek silver pen with a bristle brush tip applicator. Formula: water, glycerin, Myristoyl Pentapeptide-17, boric acid, sodium chloride, hypoallergenic, dermatologist approved, free of parabens and fragrance, safe for sensitive eyes and contact lens wears, cruelty-free. This silver pen shaped liquid eyeliner comes in three different shades: black (soft matte finish), deep brown and ultra black (shiny finish) and has a tip brush applicator that is long, firm and precise for easy application. It is buildable and can draw fine and medium lines, glides smoothly on the eyelids and sets pretty quickly, leaving behind a pigmentated and flawless water-resistant cat-eye. The eyeliner has a long wearing resistance without smudging or fading and can be worn alone or under eyeliner. It is dermatologist approved and designed for sensitive eyes, so it’s a safe choice that can be used every day. Tips from the producer: never apply inside the lash line. To prevent the formula from drying out, make sure the cap is tightly closed after you use it. Formula: Hydrogenated Jojoba Oil, Hydrogenated Vegetable Oil, made with certified organic/natural ingredients, free of parabens, mineral oils, silicones, synthetic fragrances, and preservatives, dermatologically tested for sensitive skin, cruelty-free. This eyeliner pencil from Dr. Hauschka comes in five nature-inspired colors that can create the perfect eye cat or even a dramatic evening look. It’s creamy and it glides on smoothly, blends well is buildable and has a good staying power, but it also needs touch ups now and then. Due to the high quality and safe ingredients, the eyeliner does not irritate the eyes, is suitable for sensitive skin and is dermatologist approved. The colors are fresh, well pigmentated and play a good role in enhancing the eyes. 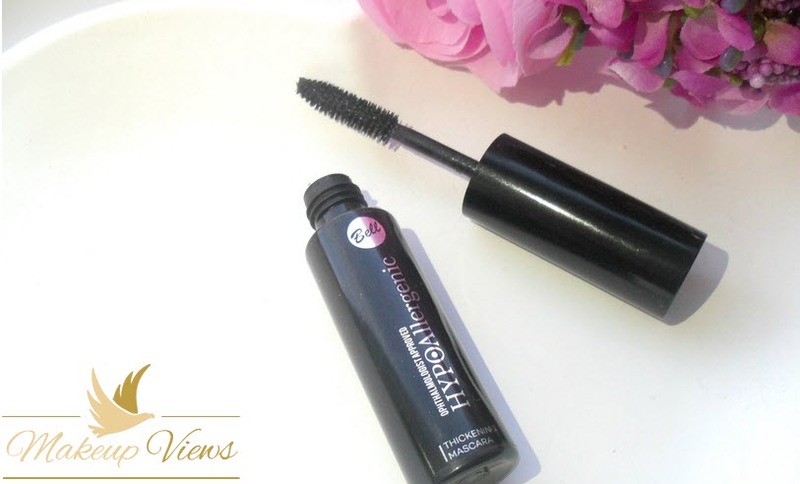 For hypoallergenic mascaras, we have a dedicated article. Tips from the producer: warm the pencil between fingers to help liner glide more easily. Be sure to smudge and blend it to avoid an overly harsh, unnatural look. Formula: Ricinus Communis (Castor) Seed Oil, Cera Alba (Beeswax), Copernicia Cerifera (Carnauba) Cera, vitamins A,B,C,D, E and K, made with certified organic ingredients, gluten-free, free of parabens, lanolin, petrochemicals, hydrogenated oils, GMO, pesticides, fungicides, cruelty-free. 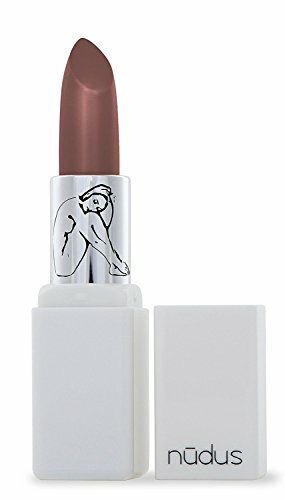 This Australian handcrafted lipstick comes in a vibrant color selection of ten shades and is the perfect choice for those of us with sensitive skin due to its high quality of certified organic ingredients. It’s free of parabens, gluten, lanolin, pesticides, nanoparticles, and petrochemicals. Made with color extracts from fruits, herbs, and minerals, the Nudus lipstick is highly pigmentated and has a full coverage that lasts long hours. The texture is soft and creamy, and the oil extracts leave the lips fully hydrated and with a touch of a matte finish. After application, the lipstick feels very comfortable and only needs a bit of retouch after drinking or eating. Formula: Isododecane, Barium Sulfate, Cyclopentasiloxane, Dimethicone, Beeswax (Cera Alba), Vitamin E, free of oil and fragrance, ophthalmologist tested and dermatologist-tested. 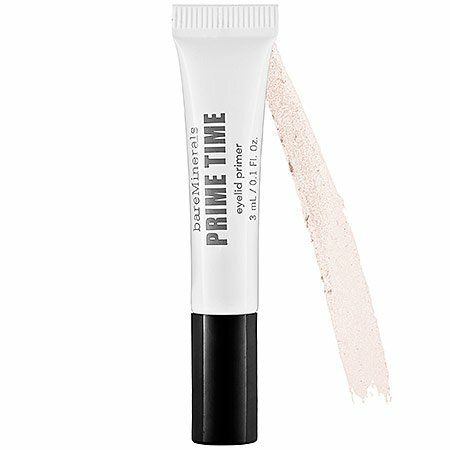 The Bare Minerals eye primer has a gentle formula that is safe for those with sensitive eyes and for the contact lens wearers. It comes in a small white squeeze tube and has a soft and silky texture with a sheer tint. The primer is easy to apply, glides on smoothly and blends well. The priming characteristics are excellent because it provides long hours without creasing or fading and improves the eyeshadows colors. It only needs a tiny amount to cover both eyelids and to improve their appearance, making them look smoother and fresher. Formula: iso- dodecane, Dimethicone, Dimethicone Silylate, dermatologist tested, ophthalmologist tested, non-acnegenic, water-resistant. The Mac ProLongWear Paint Pots are found in a wonderful variety of eleven shades from bronze to deep blue plum, creamy beige, sea foam or dirty peach and are one of the must have products. Some of the shades can be used as an eyeshadow bases or primers, others as eyeshadows or concealers that can hide discolorations of the eyelid, dark circles or redness. The Paint Pots come in a tiny glass pot with a plastic twist-off cover and have a smooth velvet texture that spreads nicely and easily on the eyelids and quick dries in a shimmery or matte finish (depending on the shade). They are highly pigmentated and have an incredible staying power, without the crease, cake or fade a long period of the day. They create wonderful buildable coverage, are easy to blend, leaving the skin feeling light and fresh. Formula: titanium dioxide, zinc oxide, mica, Dimethicone, algae extract, antioxidants, no synthetic fragrance or preservatives, free of parabens, no petroleum based colorants, non-comedogenic, cruelty-free, vegan, dermatologist tested, water resistant up to 40 minutes. This pressed mineral foundation comes in a large variety of shades to complement all skin tones from fair and light to medium, dark or deep and works as SPF (15/20) foundation, powder, and concealer. Due to its high-quality ingredients, it’s safe to use for sensitive skin and rarely determinates allergenic reactions. It contains zinc oxide and titanium oxide as the active sunscreen ingredients. 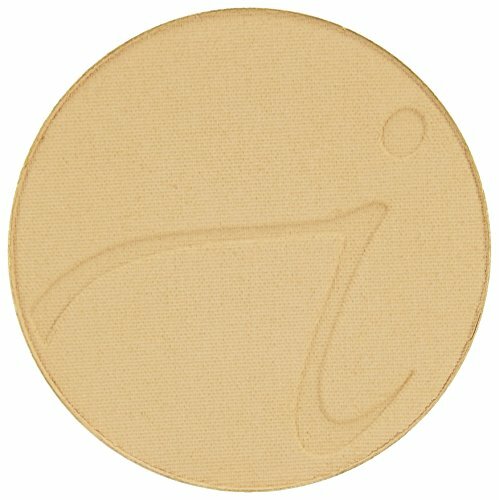 The pressed foundation is very fine milled so the texture is light, gentle and creamy and it feels weightless on the skin. It is easy to apply, blends well, provides an excellent medium coverage that’s buildable and improves the natural look of the skin.The foundation conceals blemishes, small lines, and pores and offers a long lasting oil control.